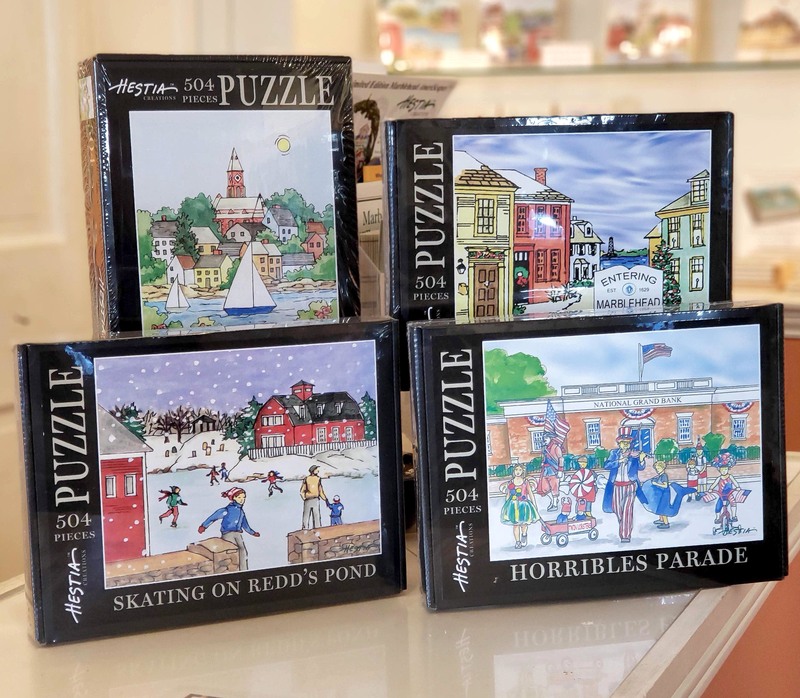 Our exclusive puzzles are available featuring 4 different images, Marblehead Harbor Summer, Franklin Street in Winter, the Horribles Parade and Skating on Redd's Pond. Puzzle measures 16" by 20" when completed. Each image is an original watercolor painting created exclusively for us by one of our studio artists. "These 504 piece jigsaw puzzles are truly a challenge!" says our in-house puzzler, Susan Thompson.